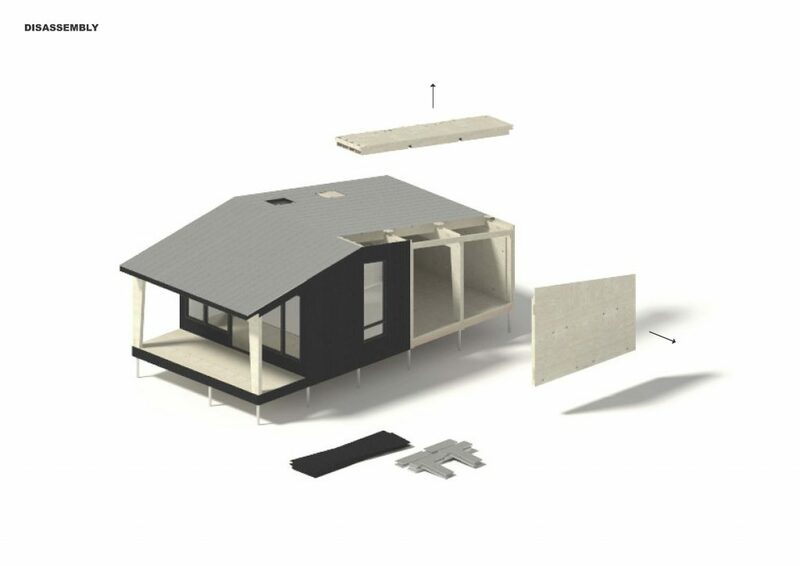 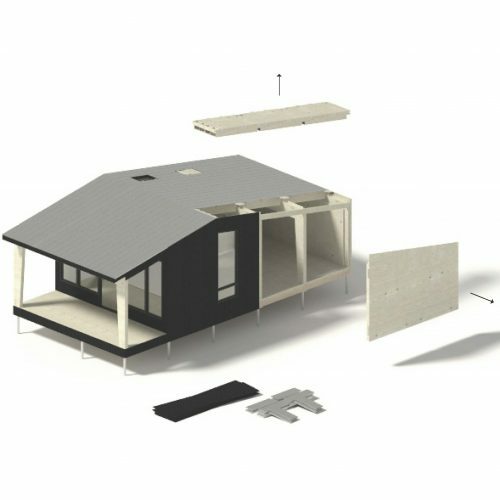 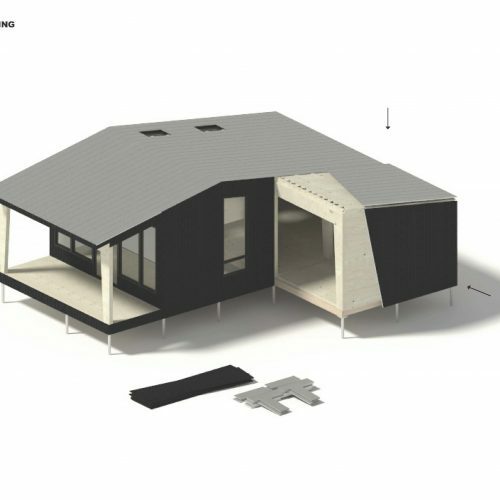 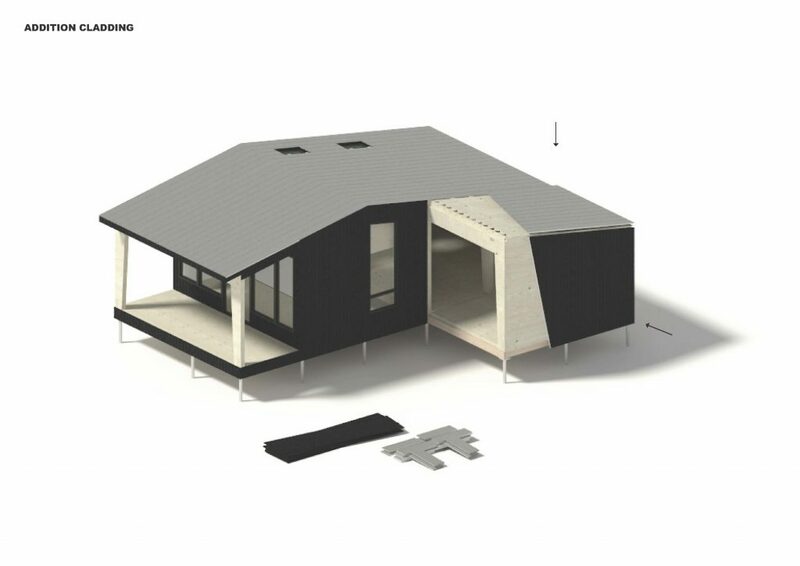 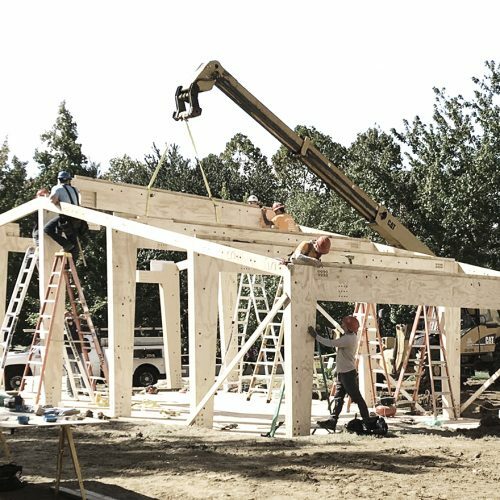 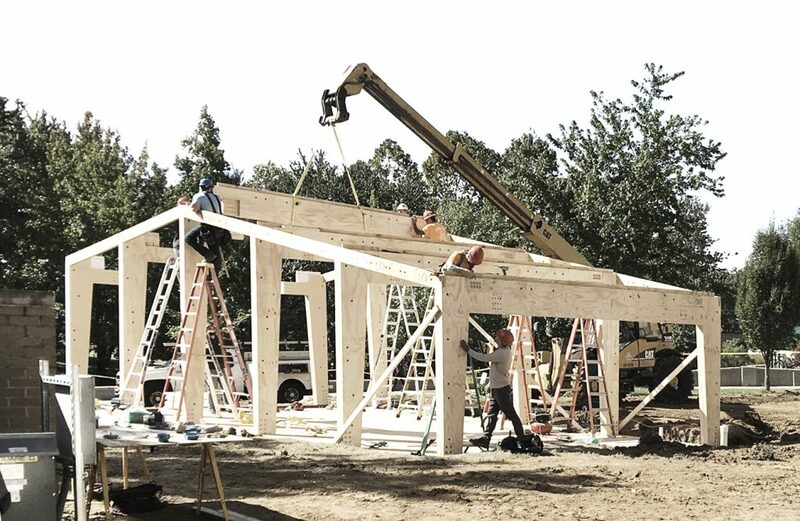 The MINKA building system is an adaptable, flexible construction system developed for American housing experts MINKA Homes & Communities. 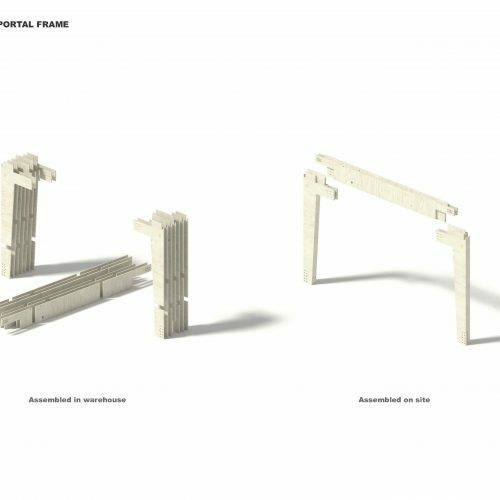 It uses CNC fabrication to precision shape sheet goods into an elegantly joined portal frame system with customisable infill panels. 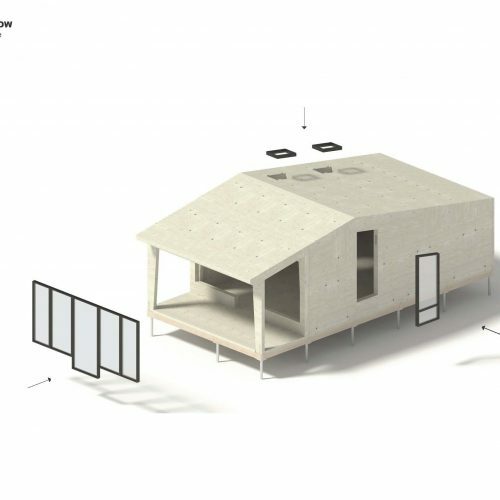 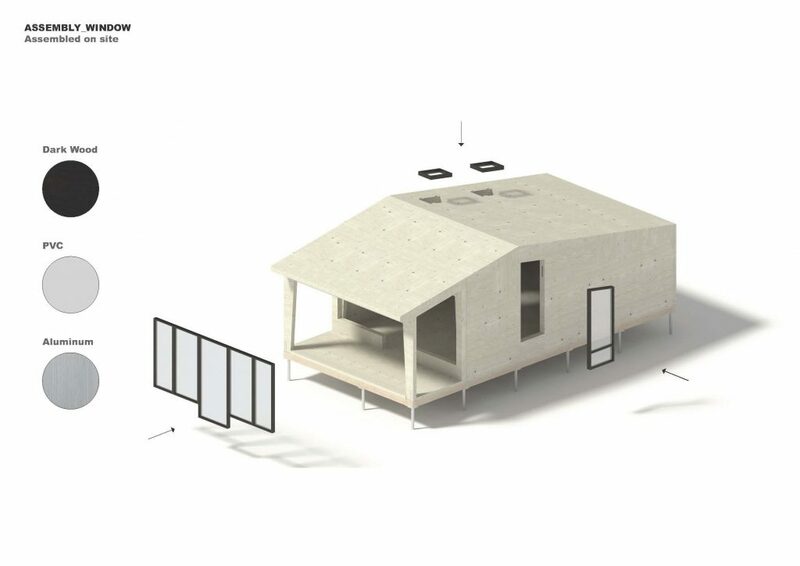 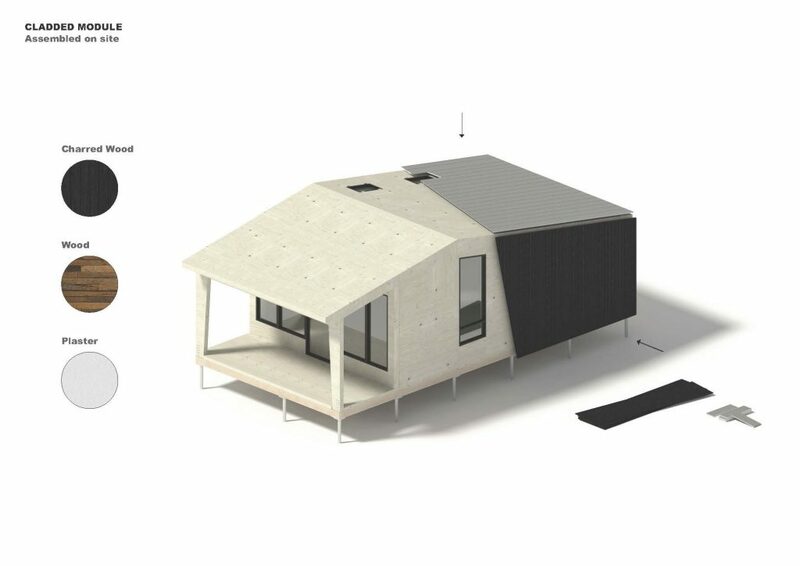 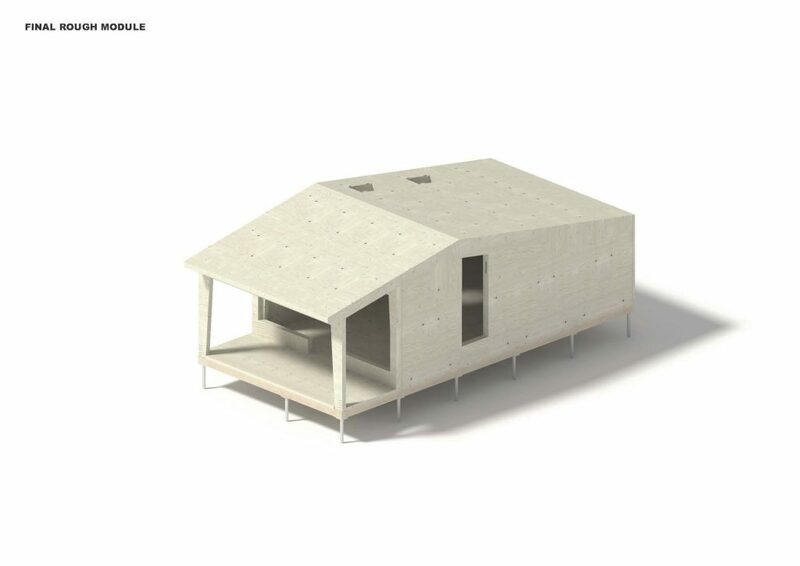 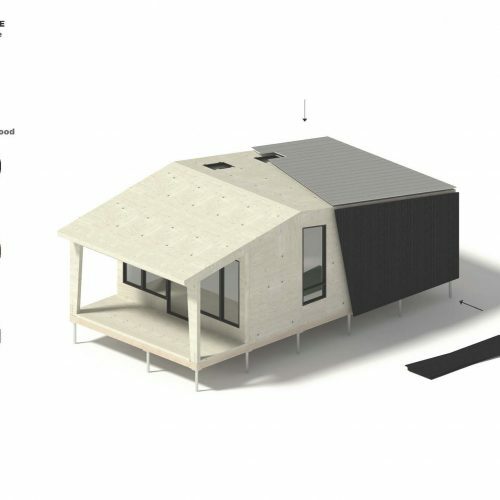 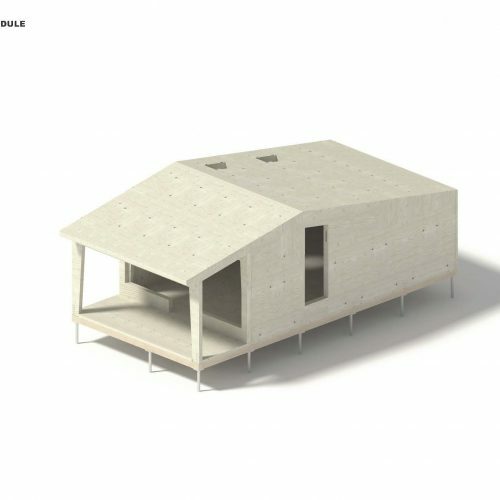 The system yields energy efficient, low-waste dwellings that are exquisitely designed so that each and every square foot has a purpose. 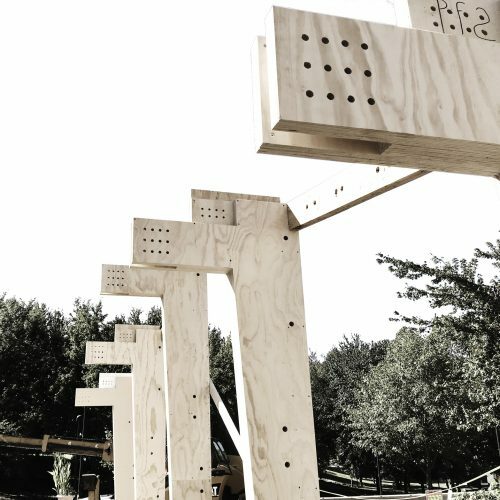 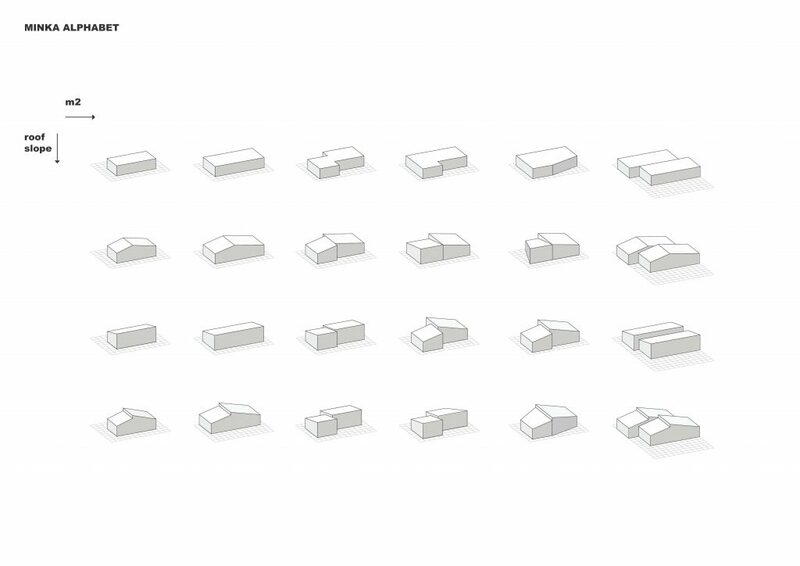 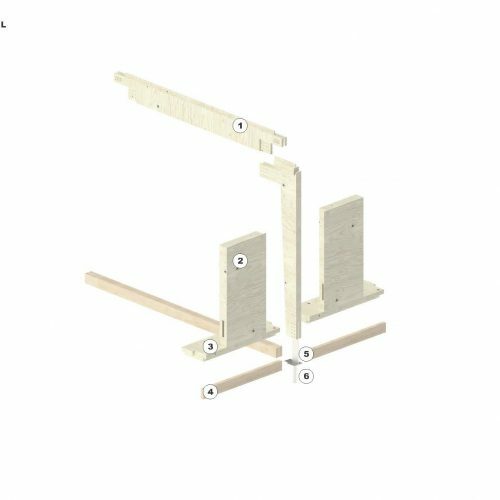 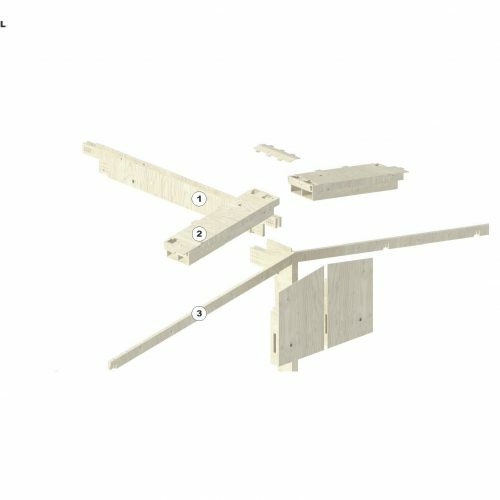 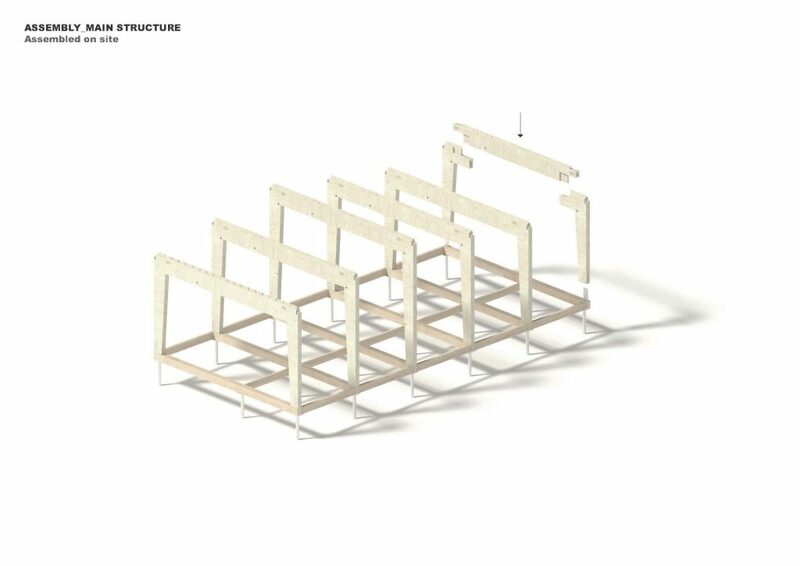 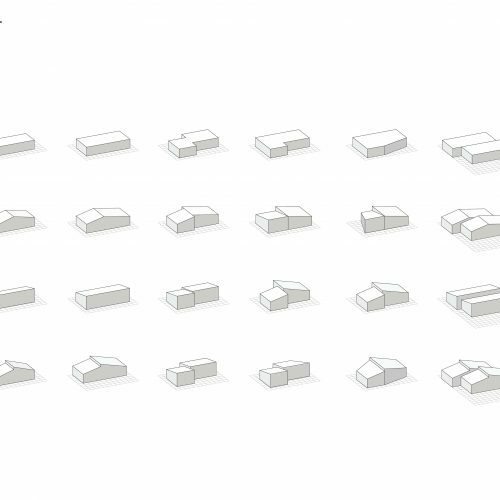 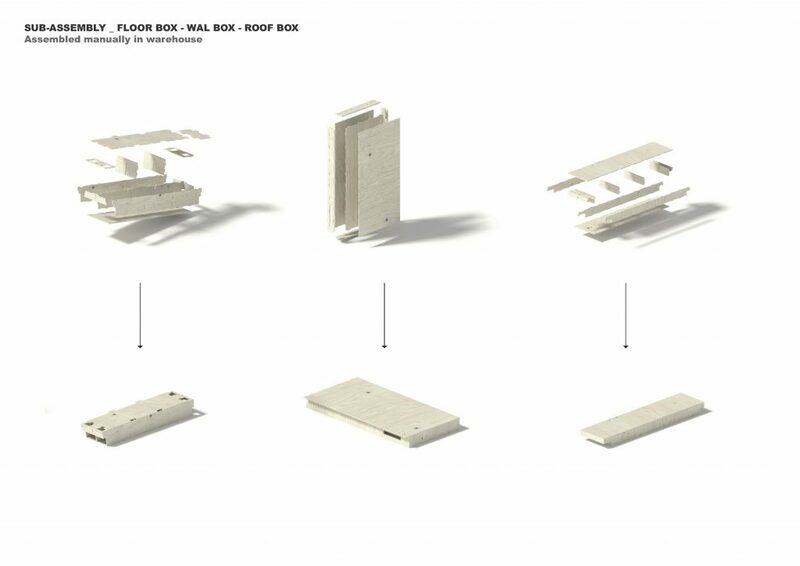 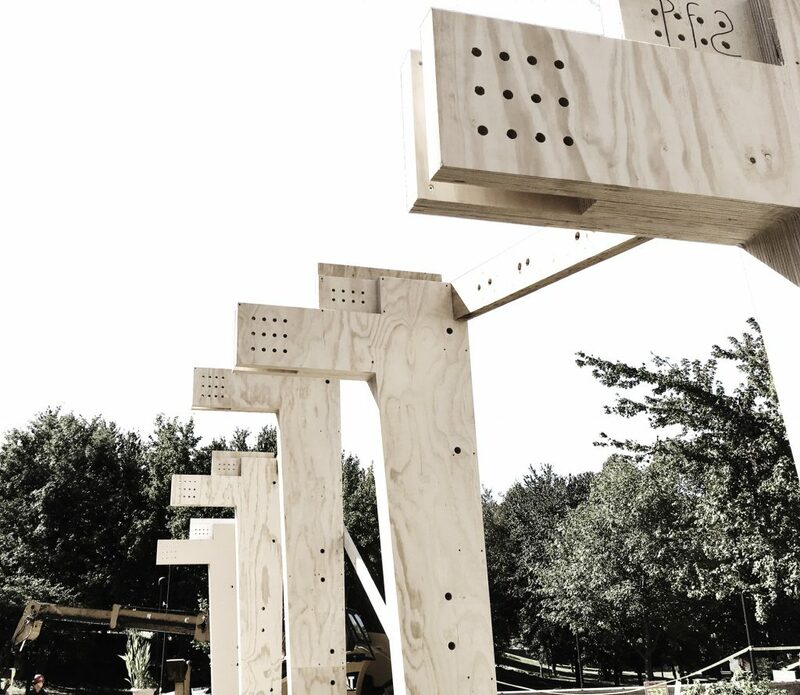 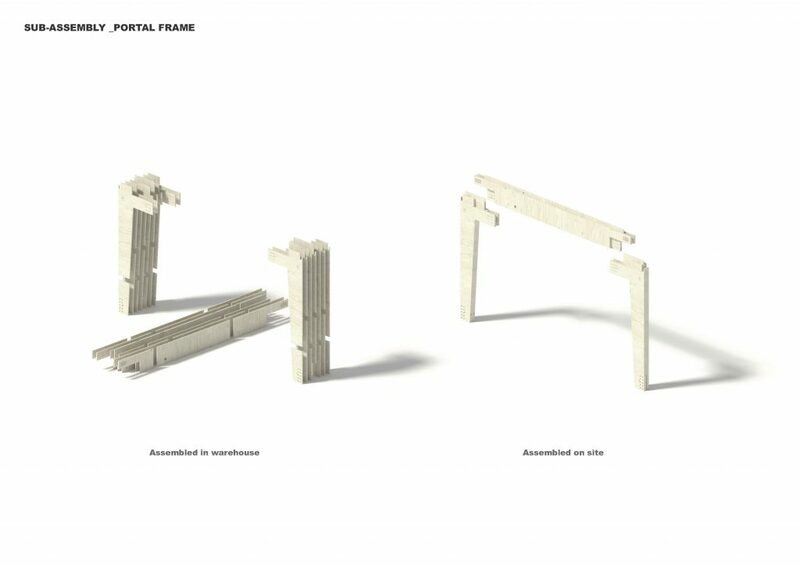 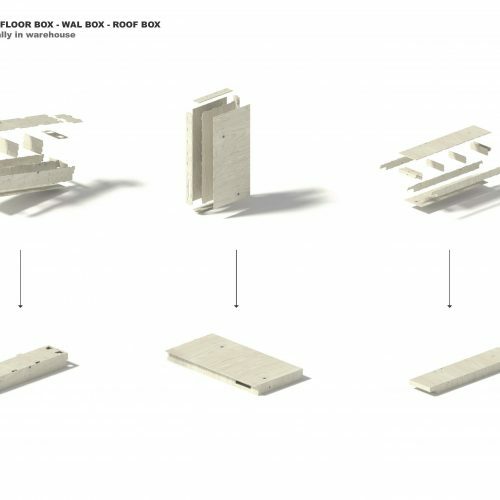 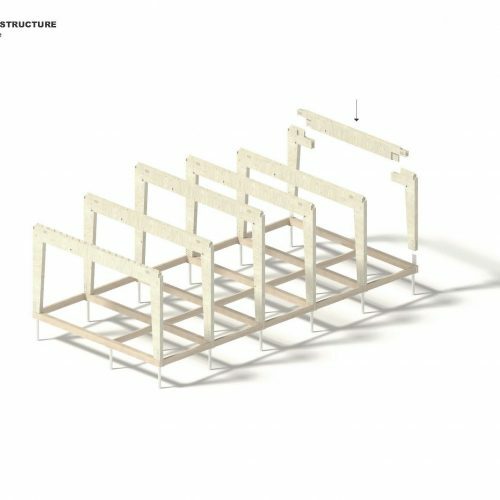 The system is inscribed into a 3D modular system that allows for nearly infinite configurations of walls, panels, posts and girders. 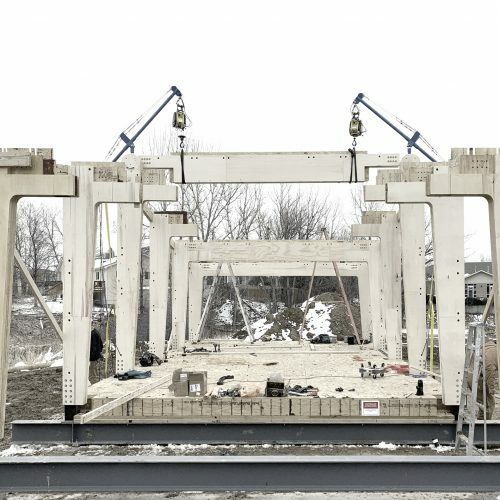 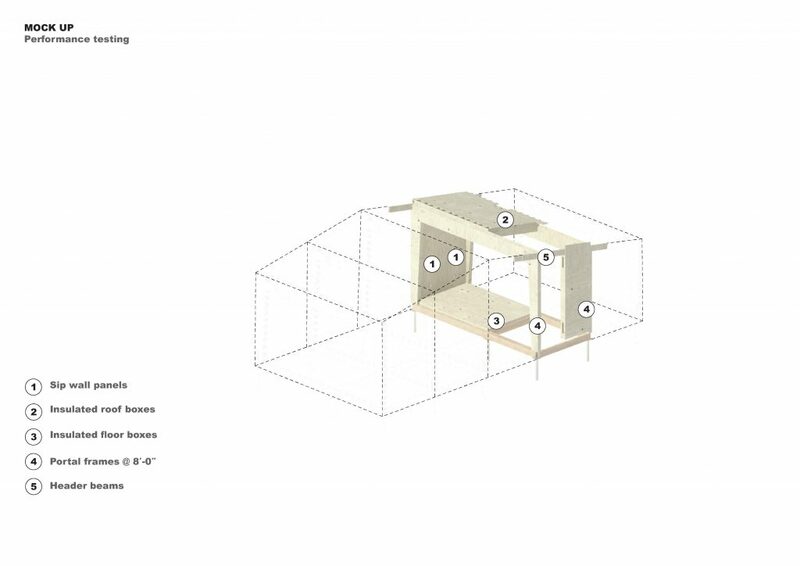 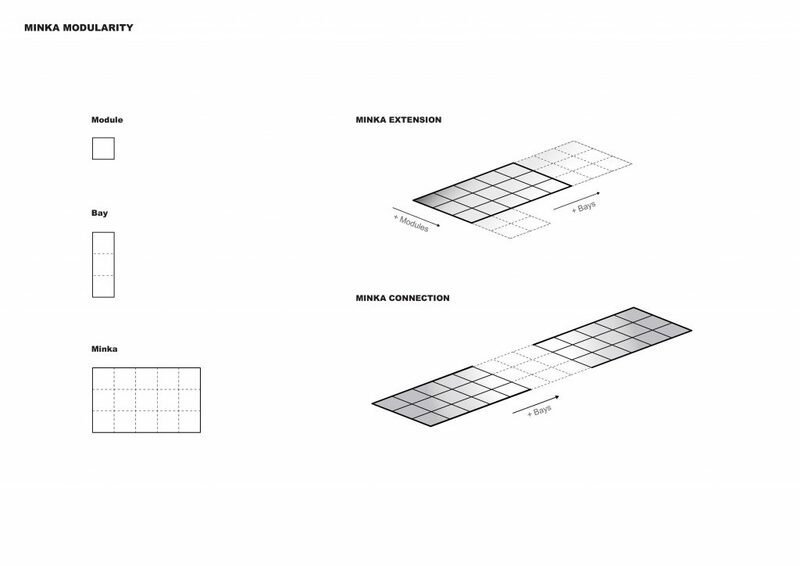 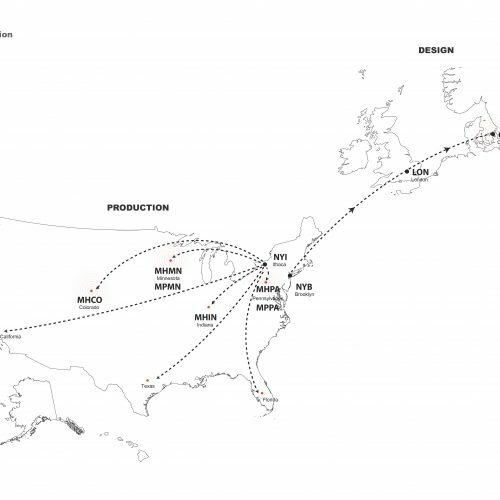 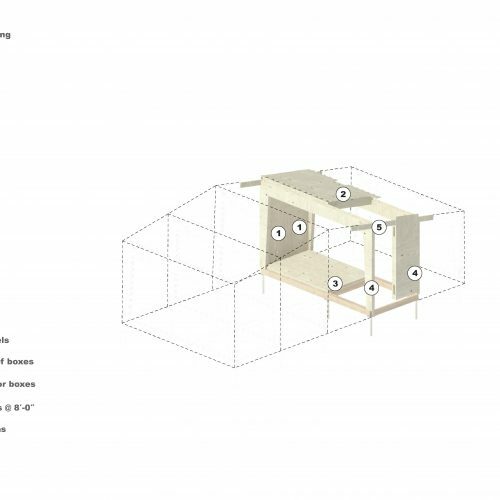 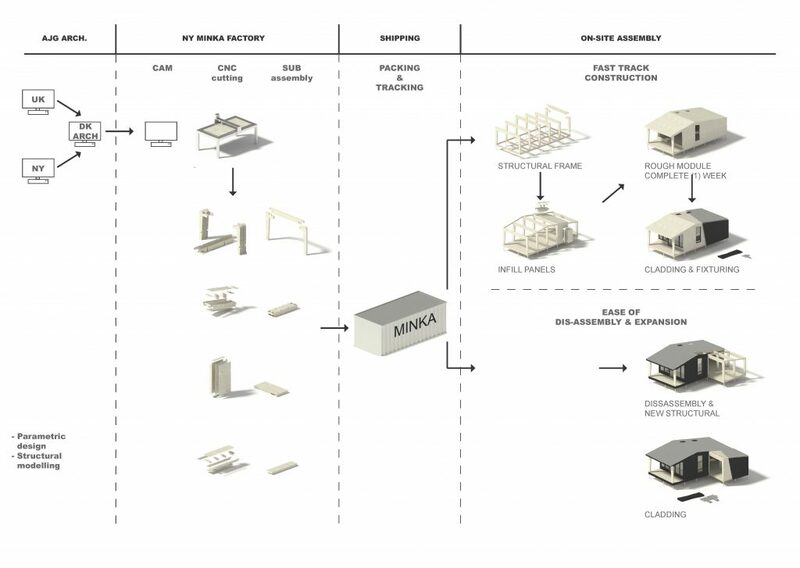 The system is encoded in a computational model that is used for preliminary design assessments, performance simulations, and outputs fabrication files. 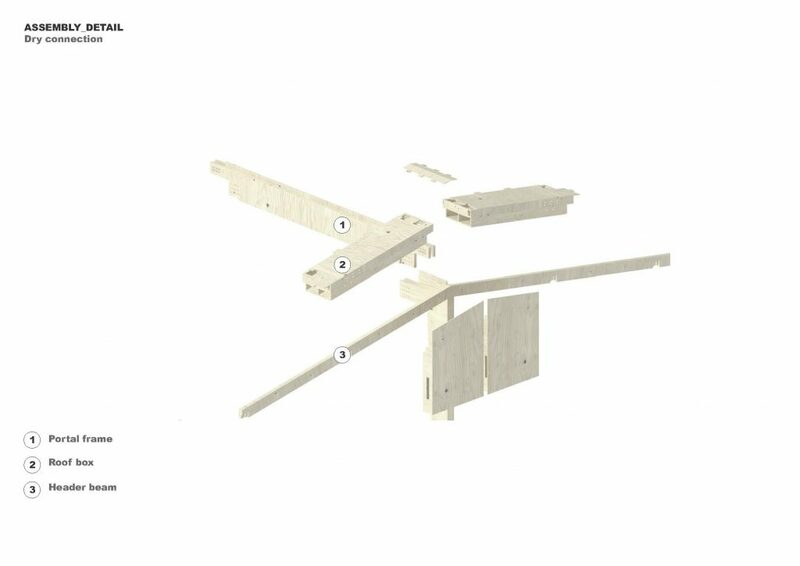 The system is specifically design for ease of assembly and dis-assembly and therefore consists of a limited number of component types that are pre-assembled off-site, and then shipped and assembled on site in less than a week. 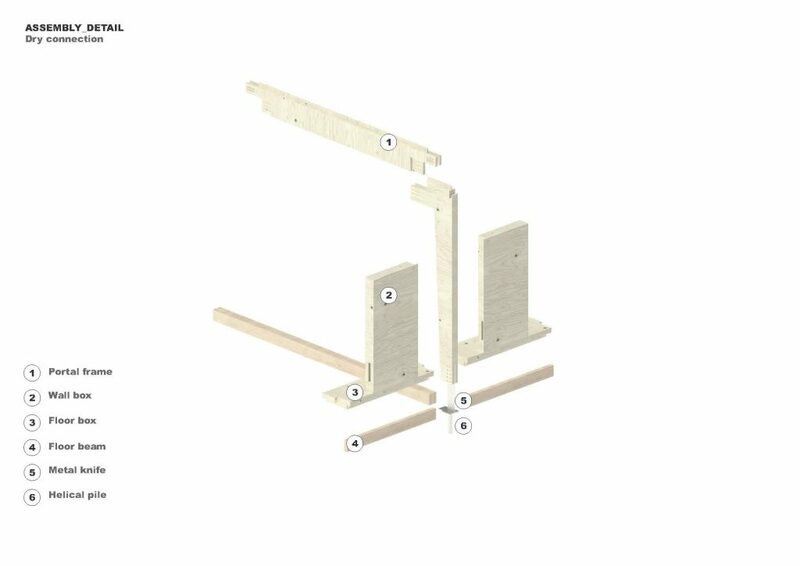 The main assembly is performed with dry connections only, which enables dis-assembly and reconfigurability. 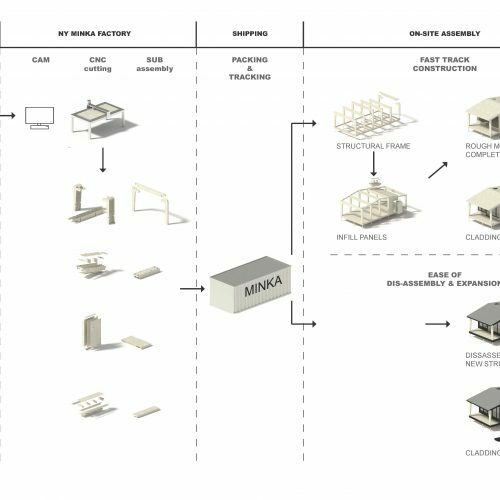 The computationally controlled design process enables optimization of material use which secures minimal waste in the fabrication and production phase. 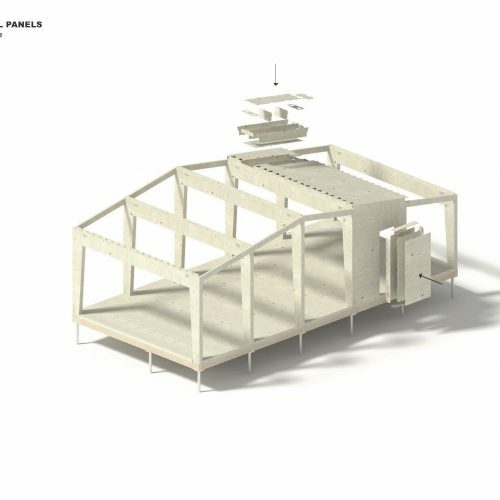 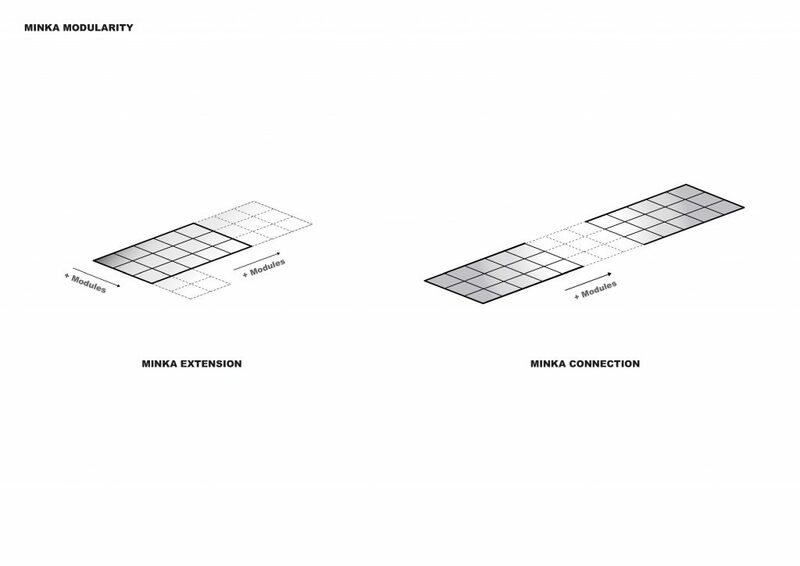 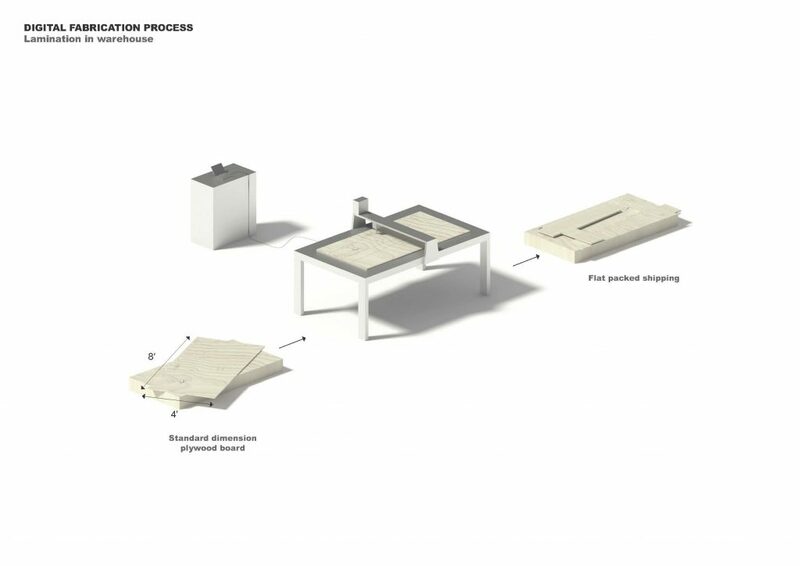 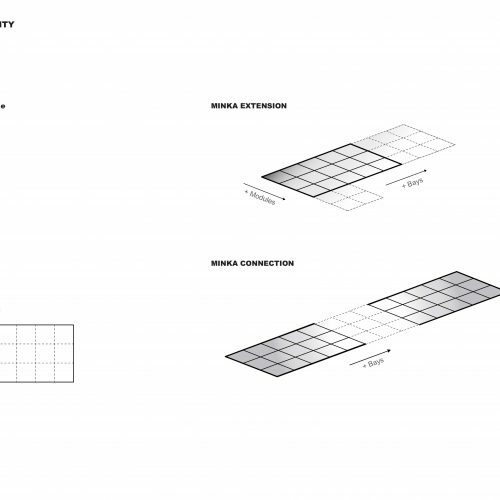 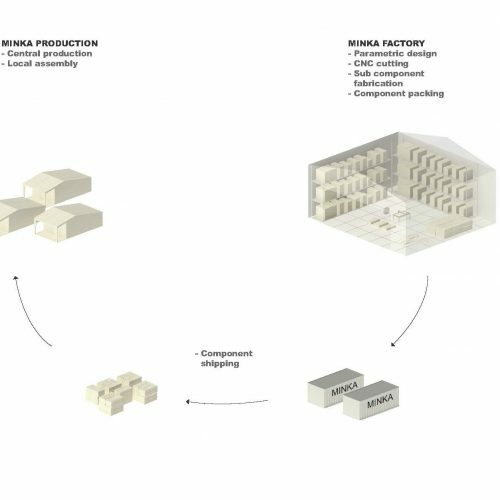 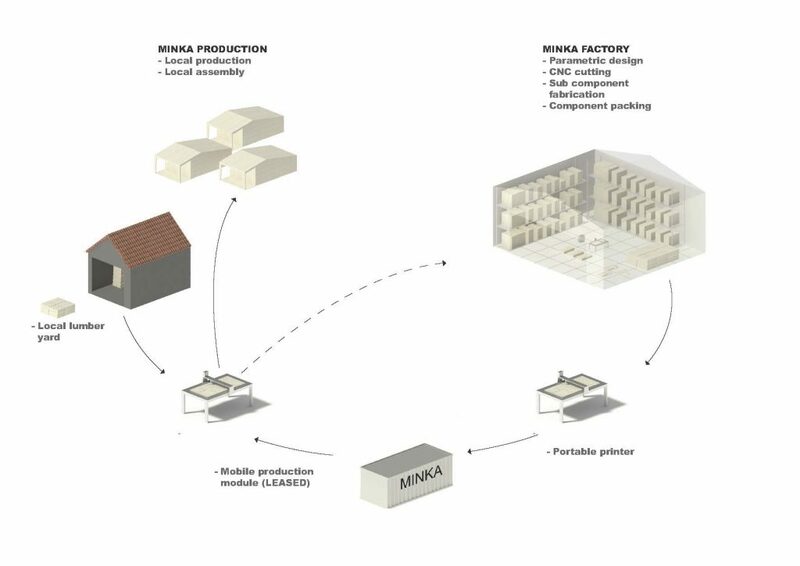 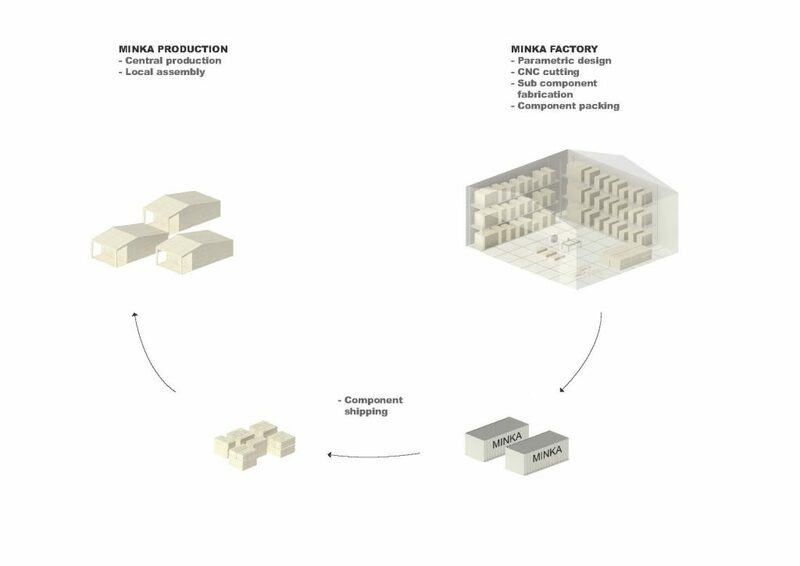 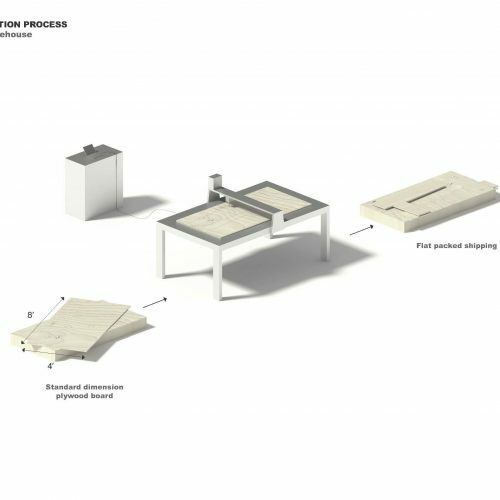 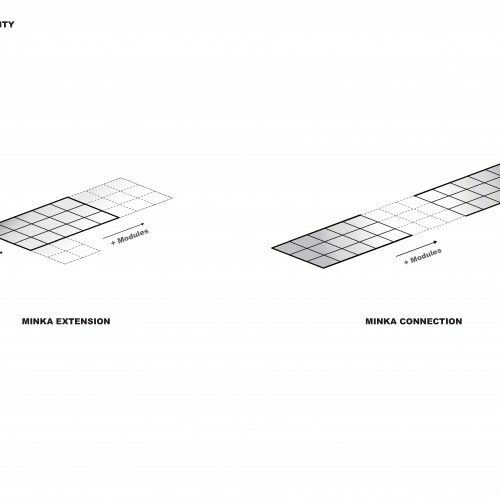 We’re designing the Minka fabrication system to be scalable and portable, enabling distributed local manufacturing for large orders. 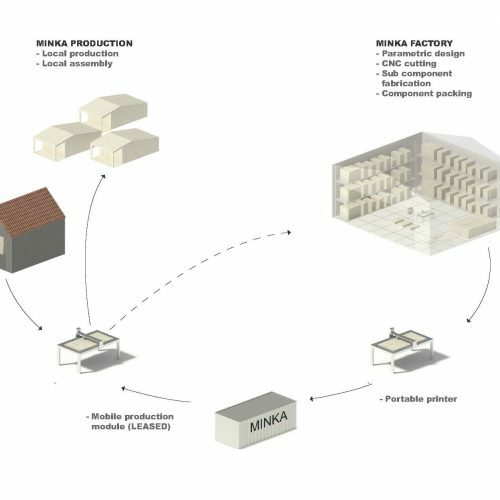 The near zero waste Minka Factory is 100 percent portable. 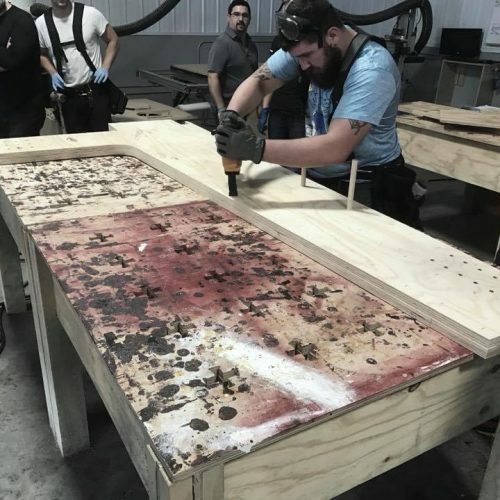 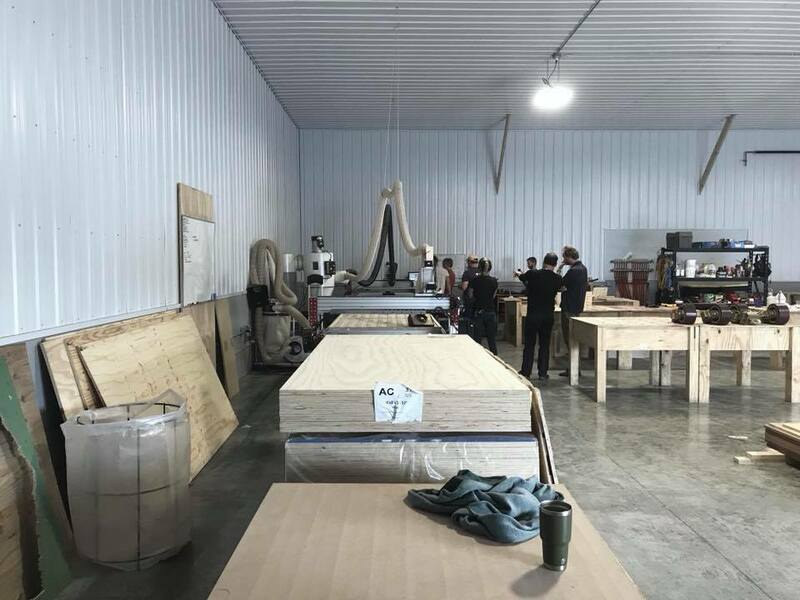 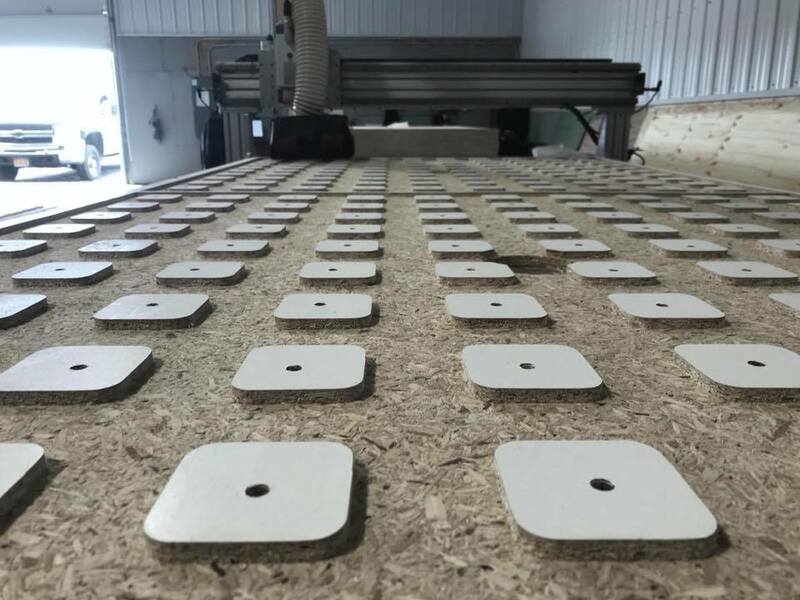 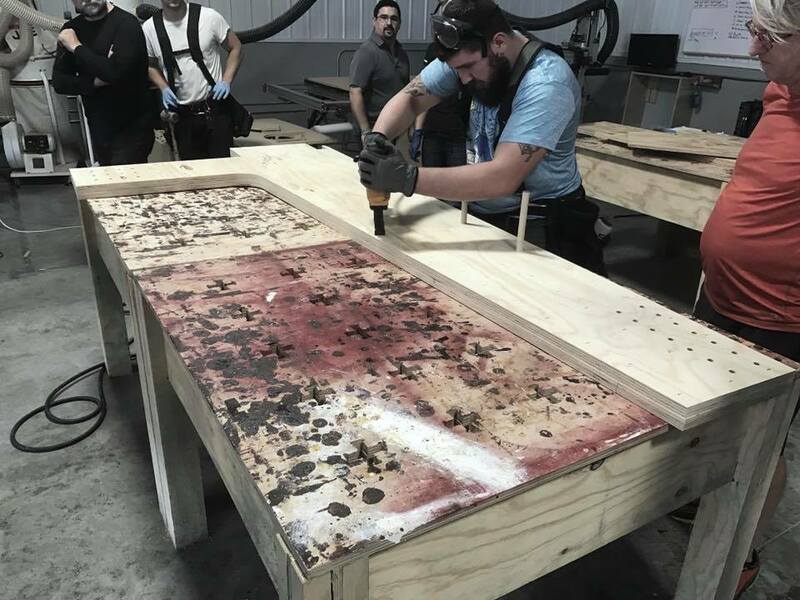 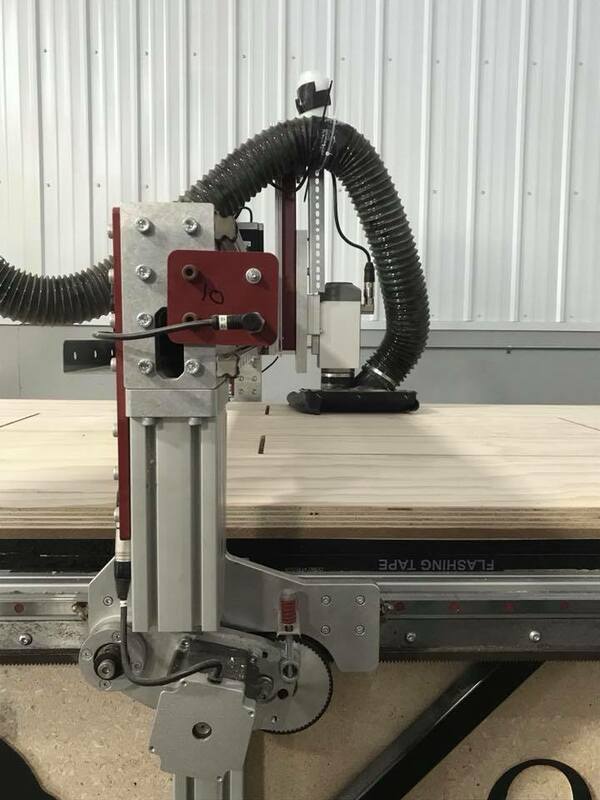 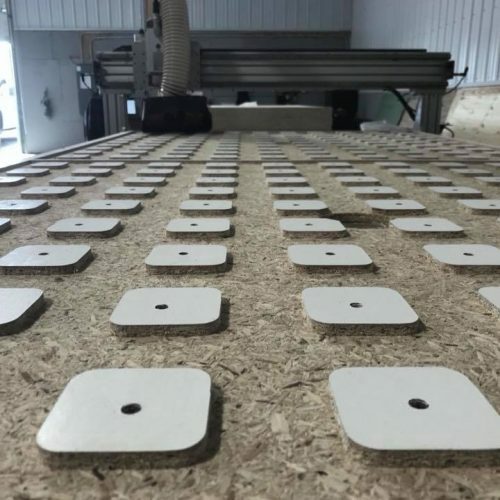 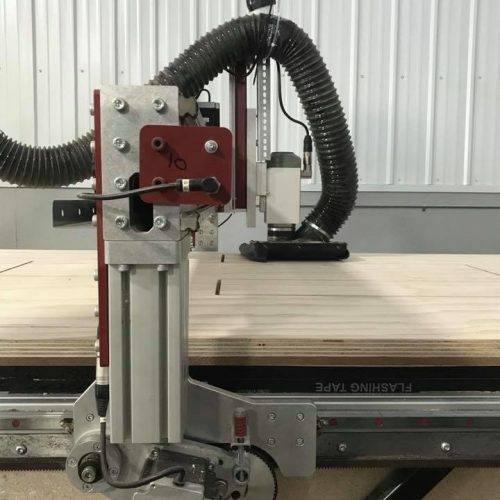 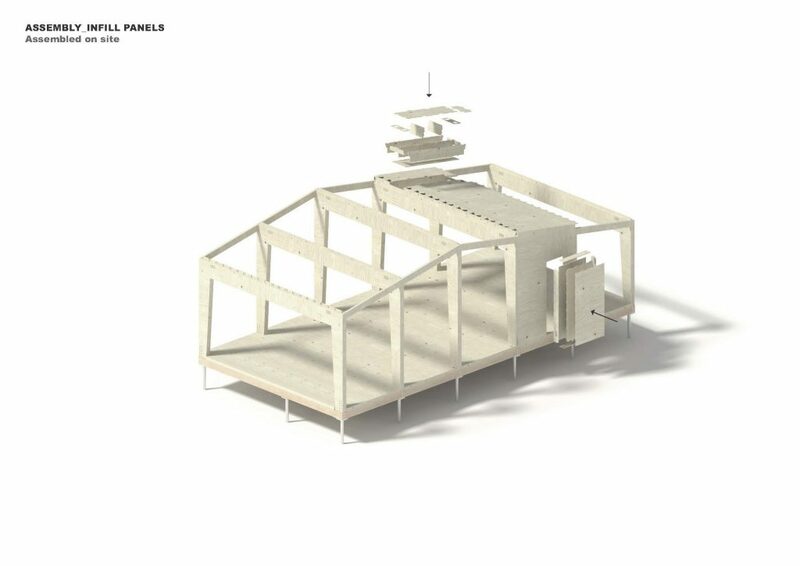 Because the machines can fabricate 24 hours a day, the components for single house jobs can be printed from the factory in days and shipped in a single cargo container box. 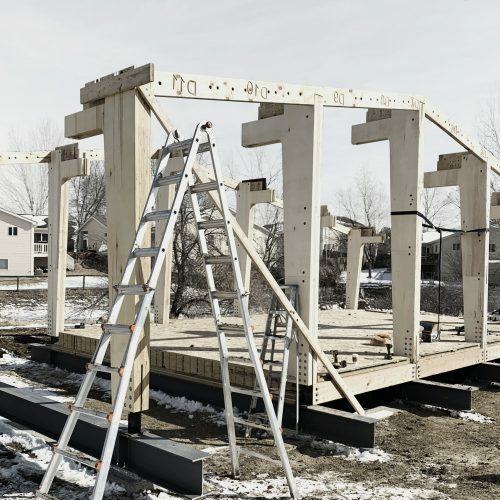 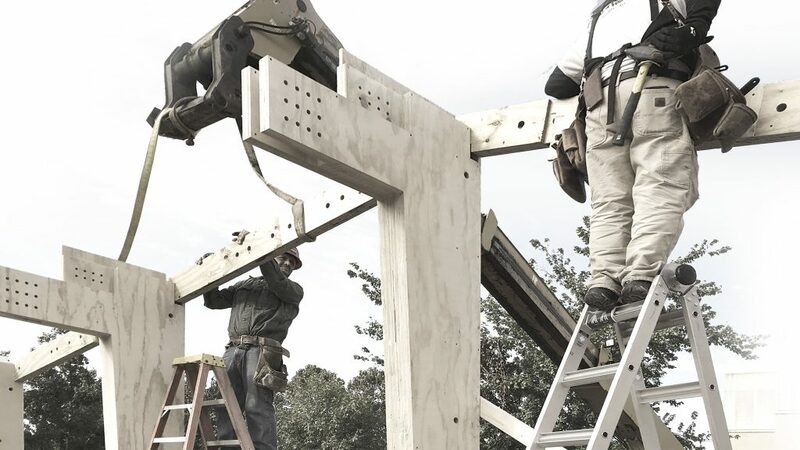 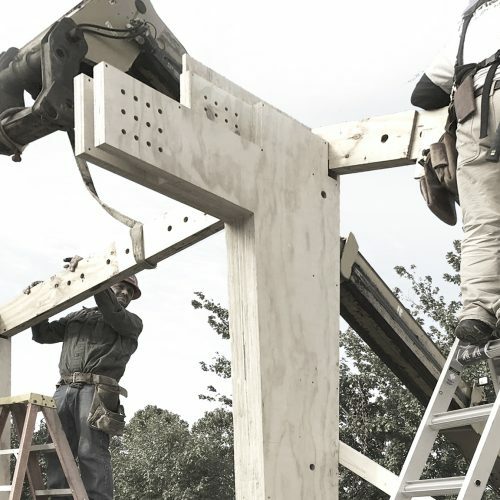 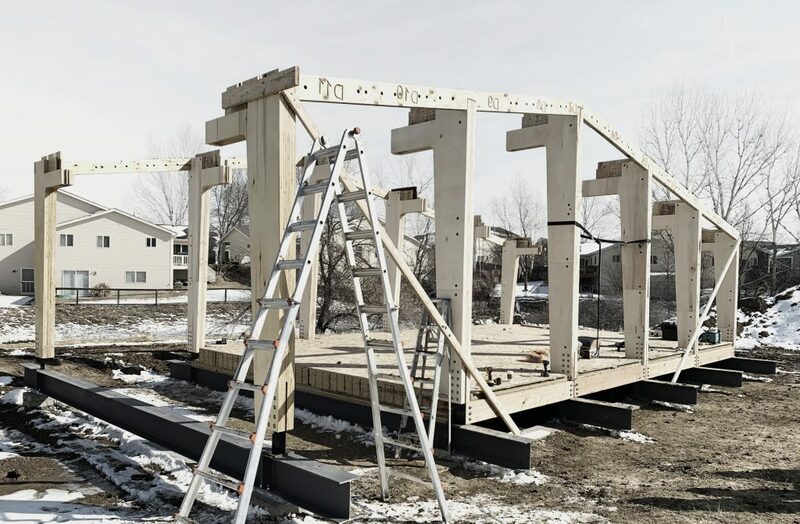 For large scale developments, portable Minka Printers can be deployed to the job site, resulting in time and cost savings. 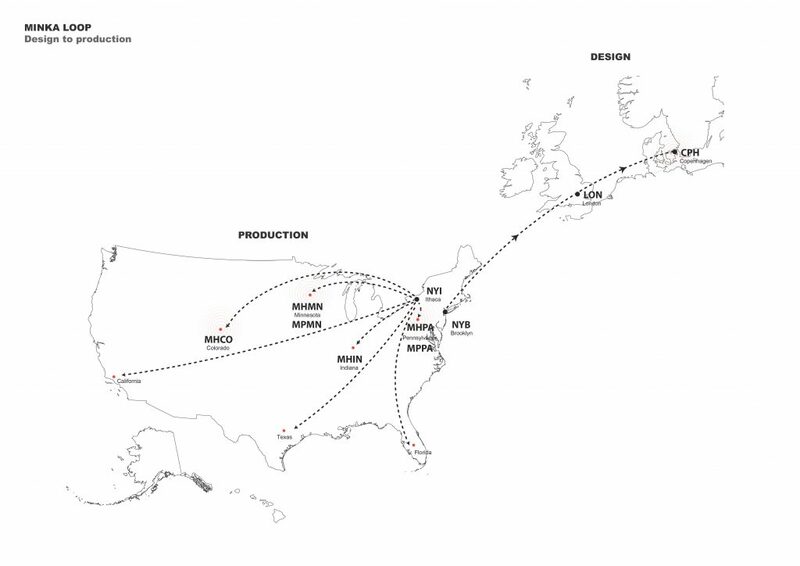 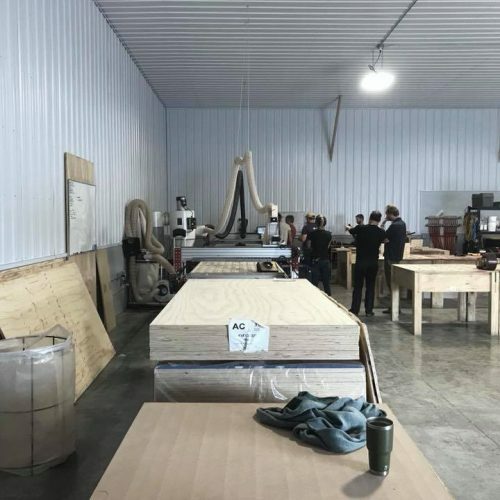 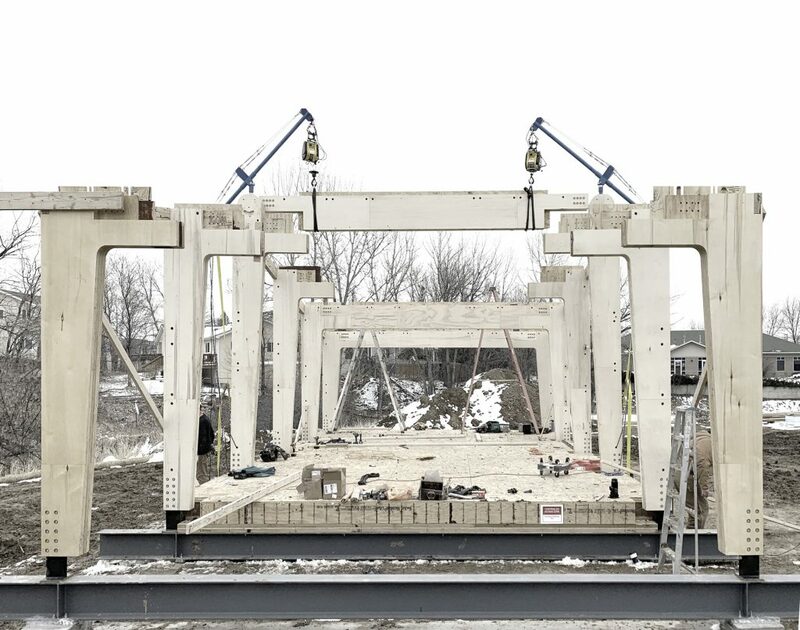 The first factory components are being built in Upstate New York.